We have provided a list of the top Mexican timeshare destinations. Once you see what each of the top Mexican timeshare destinations offers, you will want to book your next vacation at one of these destinations. Puerto Vallarta is one of the top Mexican timeshare destinations, completely surrounded by lush natural greenery and majestic mountains. Once you arrive in Puerto Vallarta you will instantly fall in love with the city. If you enjoy swimming or just relaxing on the beach sunbathing, then Banderas Bay is the place for you. You can even explore the nature with the numerous eco tours that are provided here, but if you are a foodie, then you are in luck because Puerto Vallarta is a foodie’s paradise as you can enjoy fine gourmet dining to delicious taco street vendors. Downtown Puerto Vallarta is the heart of the city where visitors can go shopping, visit art galleries, and enjoy the vibrant nightlife. Riviera Nayarit another top Mexican timeshare destination that is very close to Puerto Vallarta on Banderas Bay. Riviera Nayarit is ideal for those who just want to get away from the noise and business of Puerto Vallarta as visitors can relax on the beach and just be in peace looking at the Pacific Ocean. Visitors can get to Riviera Nayarit by taking a short ride by taxi from Puerto Vallarta. When you get to Riviera Nayarit you can enjoy surfing, snorkeling, swimming, or hanging out by the pool, then once the sun has set you can party night in Downtown or if you prefer a quieter nightlife, then you can go sailing at sunset and party there. Cancun offers visitors to Mexico with a variety of things to see and do. Cancun is located on the Caribbean Coast of Mexico. The beaches have soft white sands. If you enjoy history, then you will definitely enjoy and appreciate the Mayan civilization and the Mayan ruins that are located here. You can also learn the history of Mexico at Uxmal, Chichen Itza, and Tulum. Cancun has many different activities to enjoy and visitors can spend the day shopping, dining out, or just relaxing. Visitors will appreciate the natural and gorgeous landscape, white sandy beaches, stunning desert, and the turquoise waters that are crystal clear. When you come to Cabo San Lucas you will want to make sure that you see the El Arco Rock Formation and the background is the breathtaking mountains that gently peer up. Cabo San Lucas has become a popular, favorite, and sought out vacation destination for the rich aamous and everyone, and it is easy to see why. Once you vacation here it will be difficult for you to leave. Visitors can enjoy the golf courses, many outdoor adventures, gourmet food options, and the nightlife that Cabo San Lucas is known for. 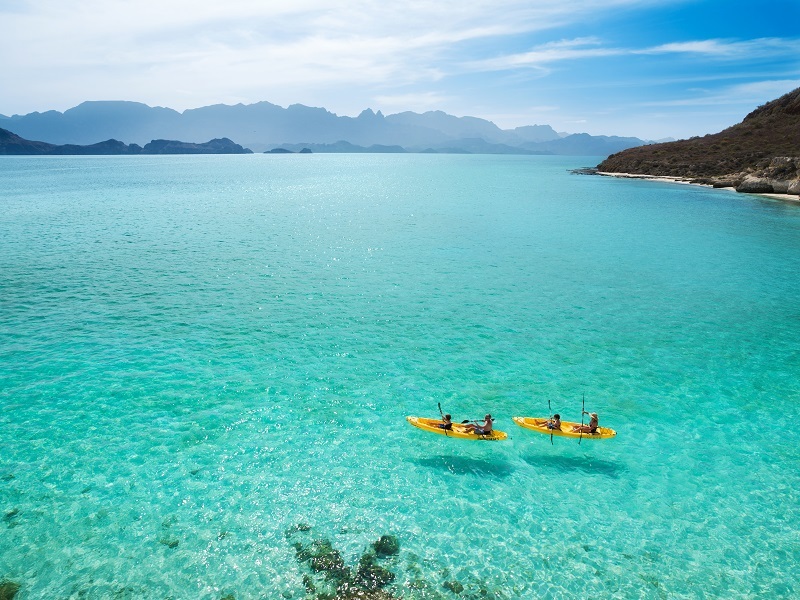 Islands of Loreto provides floating on the Sea of Cortez where visitors can watch beautiful schools of fish swimming along with many other marine life. Visitors will be able to see colorful reefs while floating on their rafts because the waters are crystal clear. When you have finished floating on the Sea of Cortez, then you can start enjoying above water activities and dining is one of the most popular as visitors can order the catch-of-the-day, which is fresh or delicious chocolate clams that were invented in the Islands of Loreto. In our opinion, these are the top Mexican timeshare destinations. Are you ready to start your vacation at one of these popular and sought out Mexican vacation destinations?